Structure of library and structure of textile. It’s all about information and network. First of all what is a structure ? I get interest in the structure of materials, and in especially structure of fabric. Then I looked for the definition of fabric. I decided to assimilate information to threads which are connected to each other in an interweaving organization and which need each other to create a textile and here a complet knowledge. Then, I considered the book not as an object which is part of a shelf but as a composant of it. As the equivalent of a thread in a piece of fabric. The library couldn’t exist without books as the textile without threads. A book is already subject to an organisation and structuration : composed of letters making words, sentences, informations on a theme. Paragraphs, pages, chapters, subjects. All the elements are accumulated and are mixed. It’s the same in the library. All the books make links to other ones : by there subjects, the movements, the contexts they deal with, or the references they make. An artist is part of a movement which combines several artists. Thus we already acquire new information to organize. We also have to take in count that a movement is included in a period of time which makes echoes to events and context. Thus, HOW TO ORGANISE BOOKS IN A LIBRARY ? First, I decomposed the notion of book and the notion of textile in the form of a web in order to understand and make a link between Textile and Book. I realized this two approaches shared the notions of Web-work and Information. Then, it came the bas e of my concept. This structure made of links, interweaving of subjects, shared thematics is the base of the organisation I would like to try. I took a book by chance in the library and decided to put it in the center of a « web » made of criteria and information. 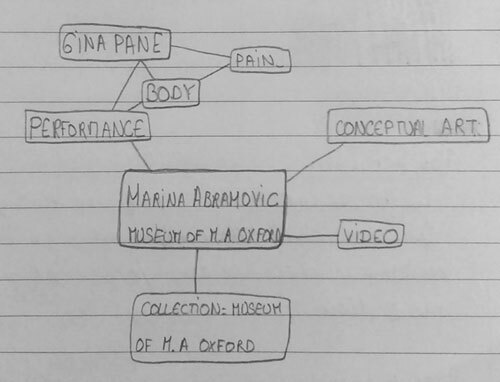 It was a book about Marina Abramovic’s works and I made a list of the criteria which were related to this book. As we could expect, this book is already linked to many others in the library and we can look for books which the same criteria. Thus, this tidying of books is undertaken through a web, a kind of tapestry of knowledge. My first idea was to take one tag # for one thread. And thus, to consider that the tags are representing by the warp strings, and each book by one weft string. Now, let’s take the same book as above. We have this book about Marina Abramovicwhich which refers to five tags and thus, refers to 5 strings in the warp. All these related words can complicate and confuse the organisation we try to make. But what is interesting, is the fact that each tag # is also linked to another one, so linked to another book in the library. The warp threads are held in place by the loom while the weft thread travels over and under the warp threads. Indeed, we remark that two of the books I’ve chosen share some notion. For instance Marina Abramovic and Marcel Duchamp’s books broach the notion of performance. Thus, in the weaving the weft threads which correspond to them will be weaved on the warp thread that correspond to “performance”. With this way of thinking, the organization of books lets appear a pattern and create a weaving. A tapestry which reflects how the books are organized. 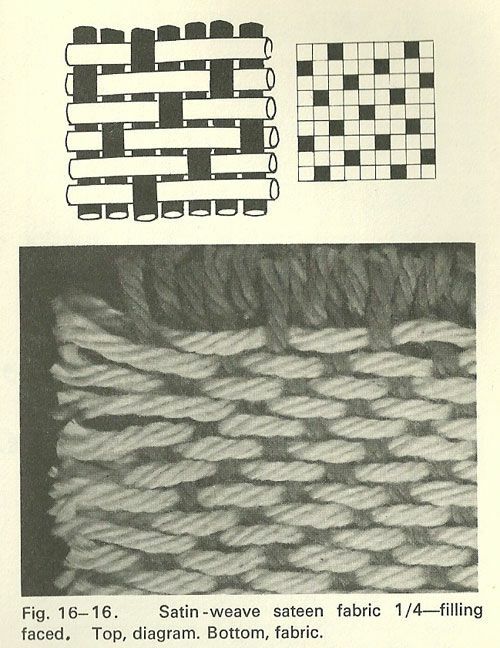 However, this research of layout and combination reminded me the Jacquard Loom and its mechanism. 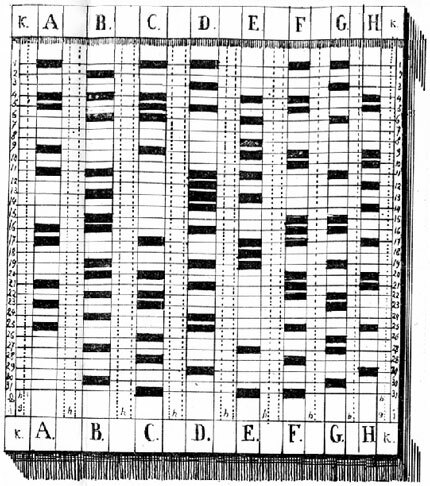 Then, I get interest in the paper tapes constructed from Punched Card made for controlling textile looms in the 19th century. 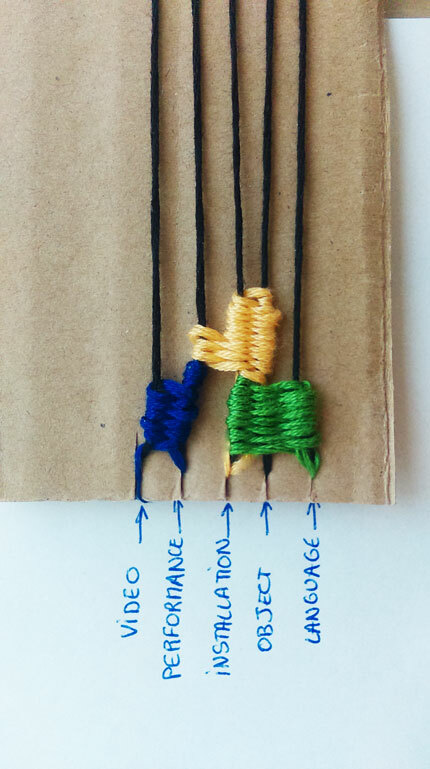 I choose to represent the thematic and subject tags by the horizontal threads (the weft strings) and the technics/medium used tags by the vertical threads which correspond to the warp strings. 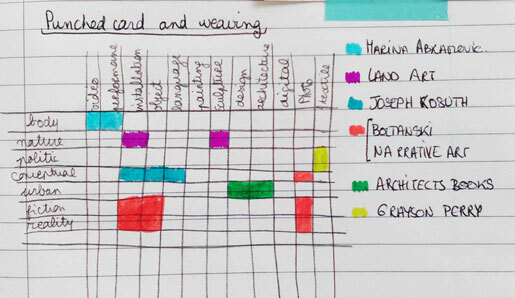 Then appears a kind of pattern, created by the different locations of the book in the “weaving organisation”. Each blocks of colors corresponding to a book, I transposed them is a uni-color pattern. Then, by combinations we can put the books in a “web”. 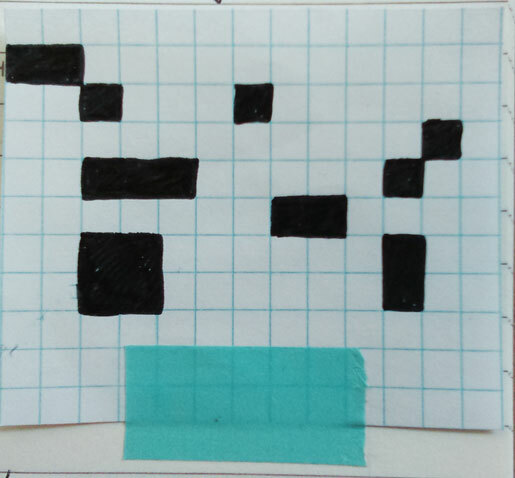 And as the punched cards, each marks (here in black) contain information and their positioning in the structure correspond to the way their will be tidy.